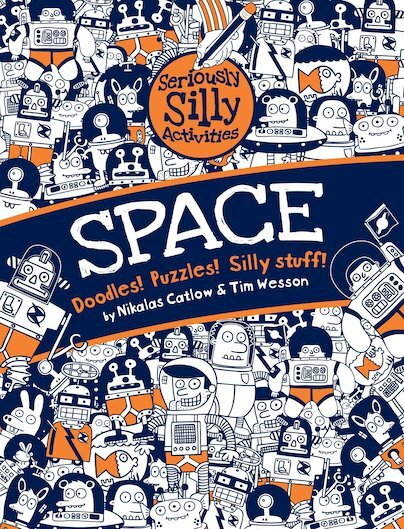 Put on your space suit and blast off into an out-of-this-world cosmic adventure! This daft, dippy, seriously silly intergalactic adventure will shoot you high into orbit, where crazy antics await! Inside you’ll find daring doodle ideas and perilous puzzles, mazes, word searches, comic strips, dot-to-dots, crosswords, sudoku, stories, aliens, astronauts, planets, meteorites and much more besides. It’s where space exploration gets seriously silly!